A crown is a type of dental restoration used to fix teeth that have been broken, weakened by decay or have a very large filling. The crown fits over the remaining part of a prepared tooth, making it strong and giving it the shape of a natural tooth. It will also be tooth coloured, giving the restoration a more natural appearance so it fits in with the rest of your teeth. Also, if you have had root canal treatment you will need a crown to protect or cap the restored tooth, allowing you to eat and bite down on it as if it was a real tooth. 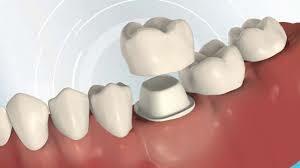 Crowns are also used to anchor a bridge or denture firmly in place in the mouth. Bridges are usually made of a precious metal base which gives them a solid structure and makes them hard-wearing. 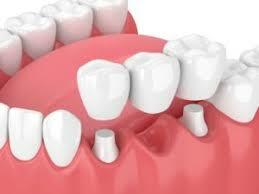 If you need a bridge in your smile line, porcelain is usually added to the base to make it look more like real teeth. A bridge helps to strengthen the prepared teeth and makes chewing and eating easier because they are fixed and can’t come out. Some bridges can also be fixed to your jaw with dental implants, if you have several teeth next to each other that are missing. 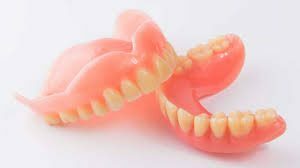 When you wear a denture for the first time it may get some getting used to when speaking or eating and chewing. It is important that you take extra care in your hygiene regime so that you can avoid bad breath, tooth decay and gum disease. 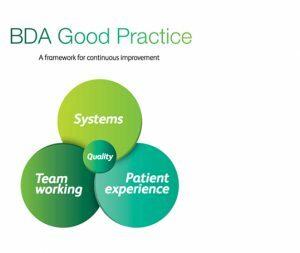 The dentist will be able to show you how to best take care of your denture and gums, and will tell you about specialised brushes you can use to do this.